We believe that medical product manufacturers who recognize and act upon the migration of healthcare from the hospital to the home will own the future. We help clients with complete product development, user interface design, usability research & testing, and visual brand language. 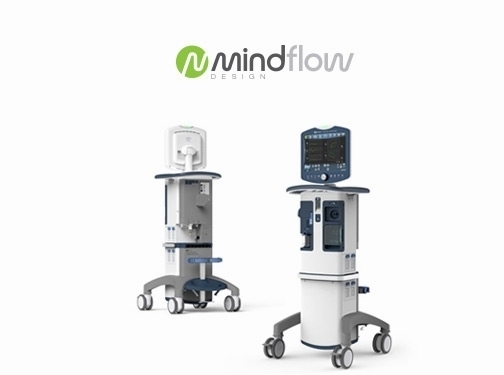 What differentiates MindFlow Design from many other product design firms? · We focus exclusively on helping medical device manufacturers small and large introduce powerful, intuitive technologies to all kinds of health care marketplaces. · We offer complete concept-to-point-of-manufacture-readiness design and engineering services under one roof. · We employ a human-centered design philosophy that emphasizes the role of user research in product development. · We impose the discipline necessary to keep your product development process on the right track through a proven three-phase proprietary process that aligns with the FDA's 21 CFR 820.30 Design Control requirements. · We produce documentation that will support safety and effectiveness claims in FDA submissions. When you are able to introduce a terrific new product to the market, everyone wins. It's our job to make sure that product development begins and continues to fruition on an optimal path, without wasting time or money. The responsibility is huge. It's vitally important to us that at the end of the day, the entrepreneur or company management, as well as investors, are completely satisfied. US (Carlsbad, CA) based business providing medical product design and development services. Website includes details of services provided, work examples, case studies, client list, accreditations gained, regularly updated blog, full contact details.